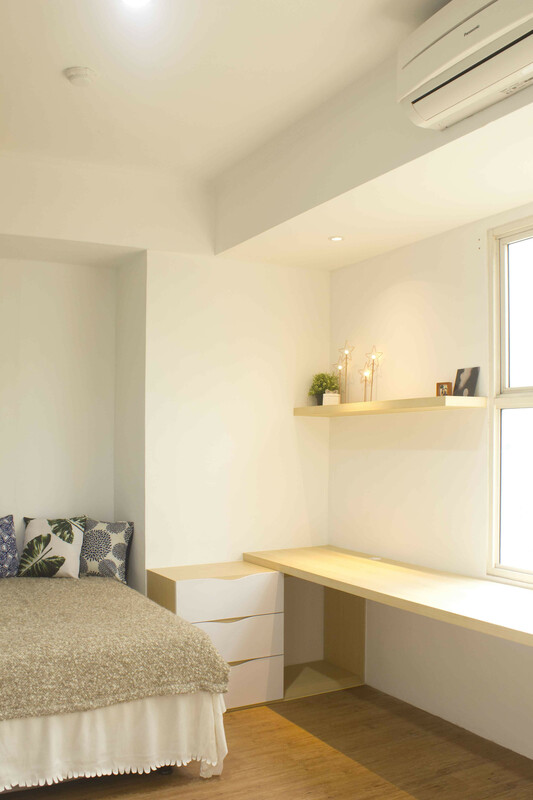 The apartment unit was meant to be occupied by students from nearby university. 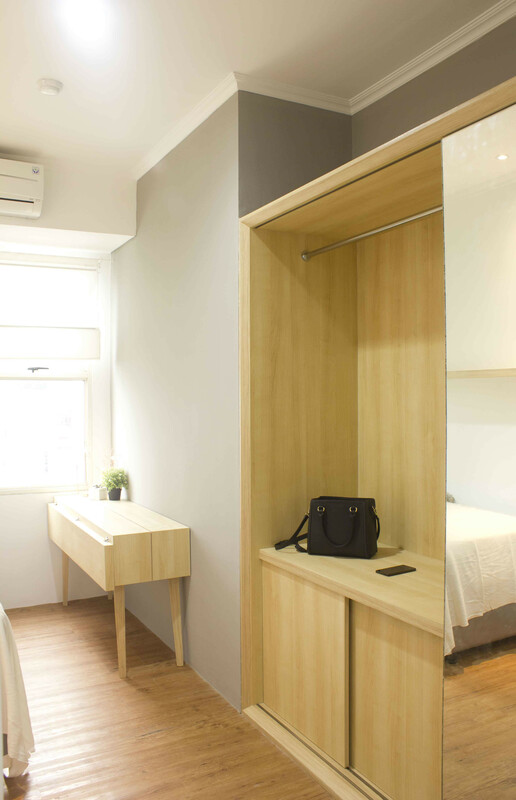 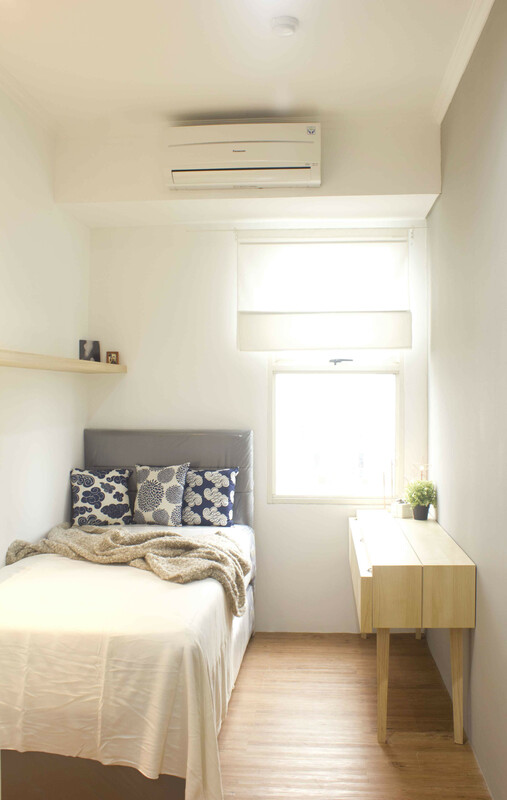 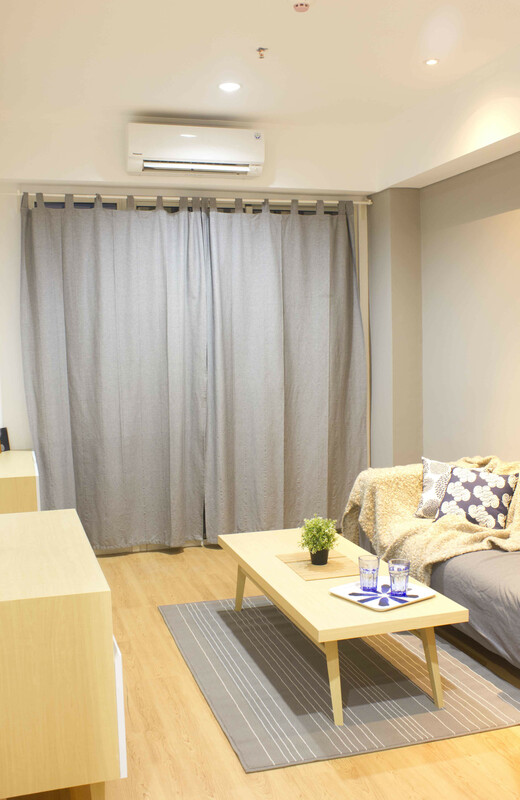 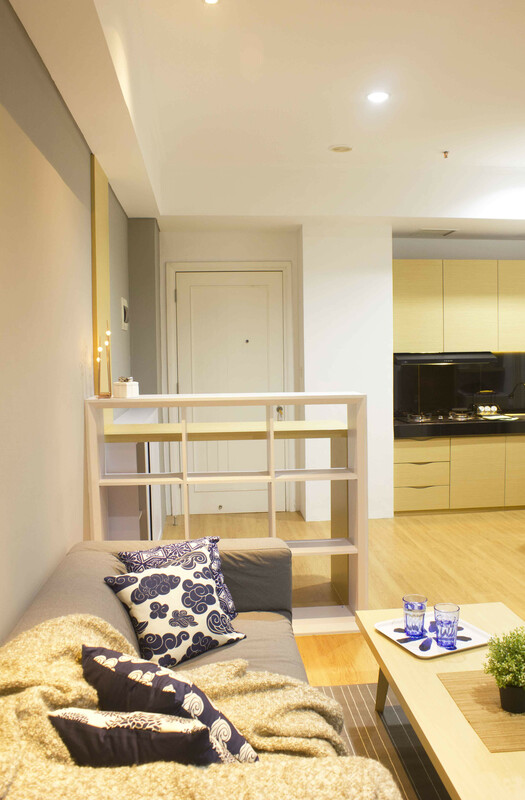 Therefore, a fresh and simple interior design would be very suitable for this apartment unit, while still giving warm atmosphere because this is for living area. 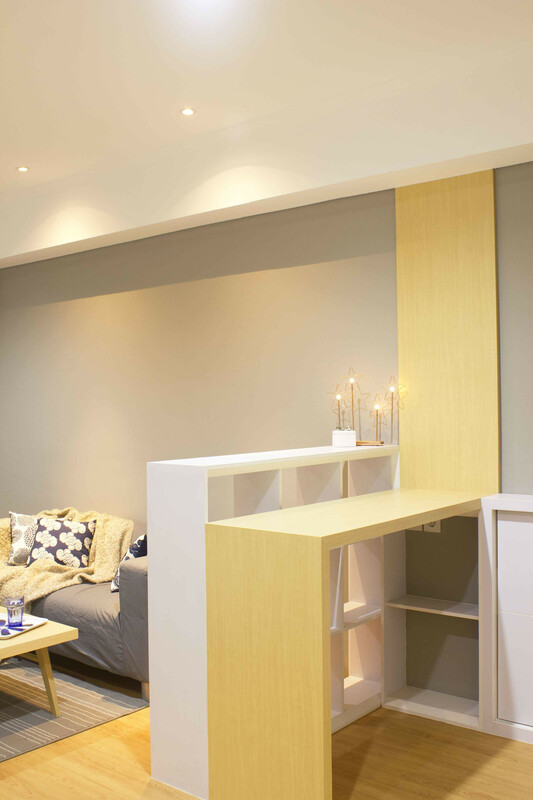 Most of the furnitures were in basic geometric shapes and clean finishes. 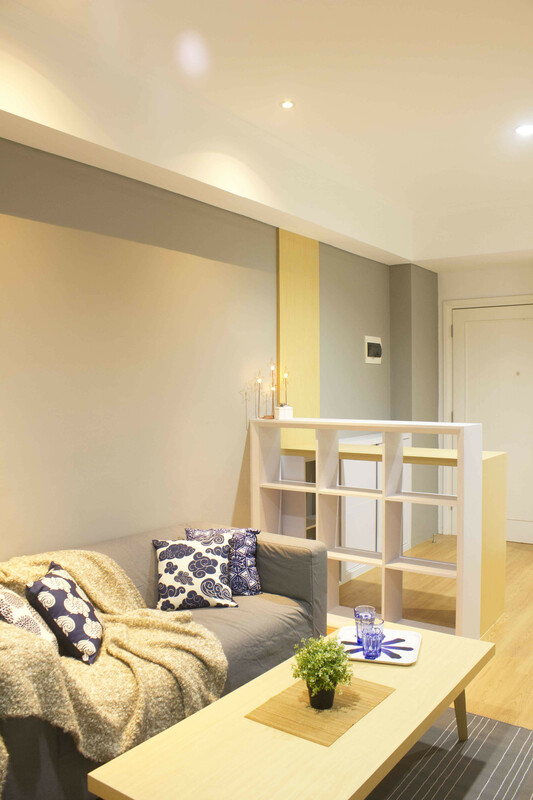 The dominant material was brown from the laminated wood, complemented by white and gray paints as to give a warm atmosphere for the rooms.